Skips are perfect for dealing with large bulky items. Whether it is an attic, house or a garage clear out, a spring clean, a home renovation or indeed a large scale construction & demolition job, McGrath Waste will have a skip that will meet your needs. Your skip will be delivered and collected by us. Your waste will be disposed of in an environmentally safe way. We recover & recycle as much as possible. 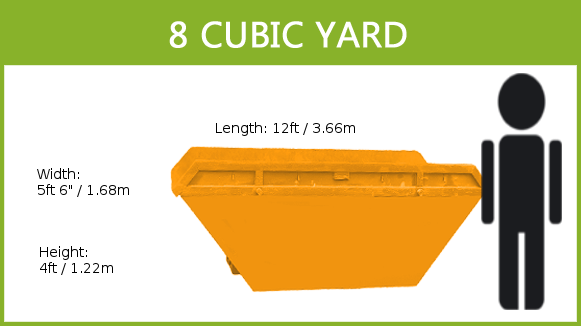 The 8yd Large Skip is our most popular skip, and is the largest skip available for Heavy Waste. Ideal for house/shed clearances and DIY Purposes. The 12yd Maxi Skip is ideal for large house clearances. 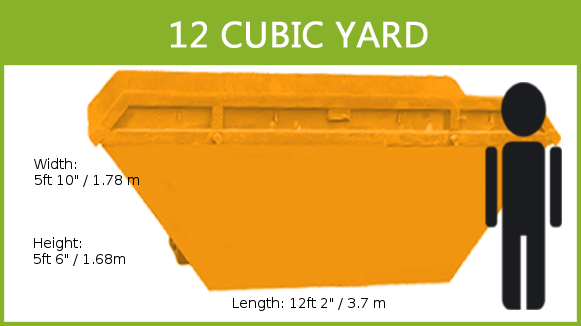 12 cubic yard closed skips are also available. 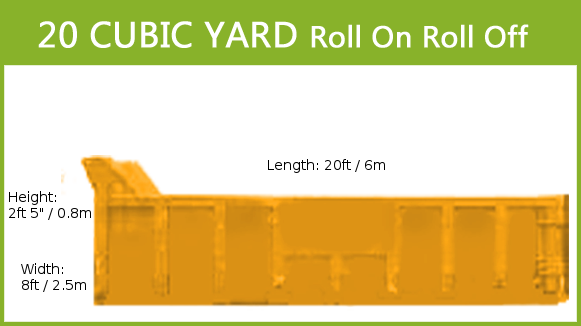 The 20 cubic yard roll on roll off is suitable for large scale clearouts, Large Home or Commerial renovations, Large scale Construction & Demolition projects. Portable & Static compactors also available. Suitable for large commercial customers. Convenient for high volume users such as hotels, hospitals, shopping centres etc. Skips can be filled up as far as the level mark on the bin. It is important to note that due to safety reasons overloaded skips cannot be lifted and therefore it is important you choose the right size skip for your needs. The skip is hired out for seven to ten days. Payment is due when the skip is being dropped, you can pay the driver cash or cheque or call the office with your credit/laser card details. The Hirer/Agent shall be responsible for the compliance with the provisions of sections 3(1), 3(2), 4(2), 6(1) and 6(4) of the Litter Pollution Act 1997 during the period of hire and will indemnify the company against all fines, costs and expenses howsoever arising by reason of the breach or non-observance of all or any such provisions howsoever arising, this responsibility remains with the Hirer until such time as the company removes the skip. Do not accept delivery of a skip if you are unwilling to accept this responsibility. The Hirer accepts full responsibility for the skip and confirm that on receipt same is in good condition. The skip shall be returned in the same quality and condition when first hired. Any damage caused to the skip whether by fire or otherwise will be the responsibility of the hirer. McGrath Industrial Waste will accept no liability for damage or personal injury as a result of some third party colliding with the skip and this shall be the sole responsibility of the hirer.